PATRIOTIC SORTS THAT we are, we’d love to love the Cello C55SFS4K QLED. It is, after all, a TV that’s born and bred in the UK. 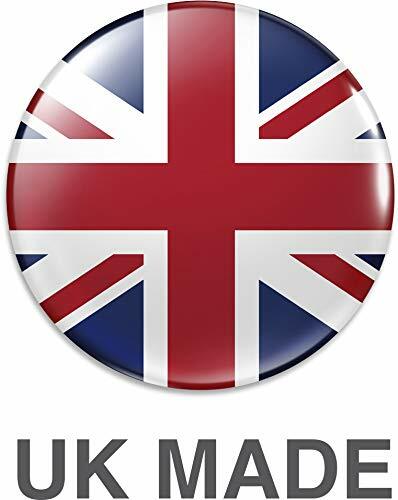 Sadly, though, it doesn’t put Britain on the TV hardware map as convincingly as we’d hoped. First impressions are strong. From its narrow metallic bezel to its startlingly thin, gleaming silver rear it looks more like a high-end OLED TV than a relatively affordable LCD model. Its half-moon stand is also elegant – if faffy to build. It’s well connected, too, with four HDMIs, two USBs, an Ethernet port and built-in Wi-Fi ticking the boxes. Extremely unusually for a TV, the C55SFS4K QLED uses Quantum Dots to paint its colours. 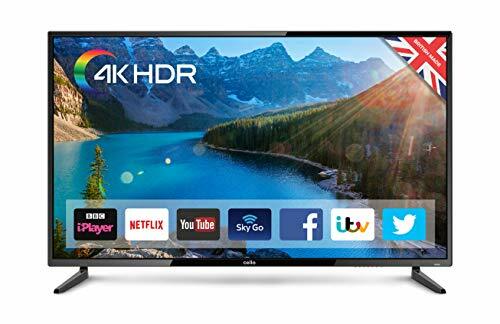 These can usually run brighter and deliver more colour volume than standard LCD colour filters – handy for playing back the HDR10 high dynamic range content the set supports. Smart features are provided by an Android platform. This provides access to a huge range of apps, but menus are a bit clunky by modern standards. Unfortunately, it also seems to be using a tablet Android system, not a bespoke TV one – certainly the clients for Netflix and Amazon Prime Video are the tablet versions, which means no HDR or 4K. The Netflix picture appears somewhat compressed, too. The TV’s remote control is also a let-down. Its buttons are cramped, poorly organised and badly labelled, and while its point and click and ‘mouse’ options sound promising, they end up adding an extra layer of confusion. Feeding the Cello the 4K Blu-ray of Shane Black’s The Predator reveals some flaws. First and worst, motion handling with 24p sources is sub-par, plagued constantly by significant juddering and blurring. And there’s no motion processing to help things out. A night-time scrap between two aliens, meanwhile, shows some uninspiring backlight management. There’s obvious greyness over the supposedly black skies and distracting areas of clouding crop up over various parts of the screen. I suspect Cello’s ultra-slim design hasn’t helped in this regard. The Predator 4K BD’s colours also cause the TV some issues. Dark scenes tend to look too blue, while greyish tones – such as the interior of the Predator ship – can take on a strange magenta hue. And while it wasn’t a big issue with The Predator, various other titles revealed some heavy colour banding in HDR content in areas such as skies and swirling smoke. Bright HDR exteriors in The Predator also suffer with severe clipping (detail loss). So much so that different sky colour shades can appear as glowing ‘clumps’. There are decent things about the Cello QLED’s pictures. They look slightly brighter than those of some TVs in this roundup (though it only hits 300 nits on a 10 per cent white HDR window); there’s a decent amount of detail visible in dark areas; and relatively static 4K sources can look crisp. The Predator also looks better in its HD, SDR form. Colours are more natural and balanced, and black levels more convincing. You’re slightly less aware, too, of the motion softness, and there’s no more distracting clipping in the brightest parts of the picture. 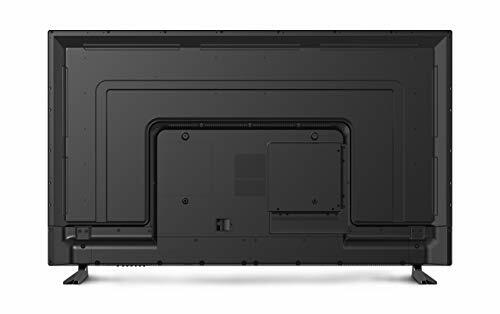 A slightly high 57ms input lag time damages the TV’s potential as a gaming monitor, while its sound performance suffers with minimal bass and a generally thin and muffled tone that’s routinely over-powered by The Predator’s robust action-movie mix. High Dynamic Range (HDR) heightens the picture's dynamic range contrast between the brightest whites and the darkest blacks. Superfast Smart TV with built-in Wi-Fi allowing you to switch quickly between terrestrial and online streaming content. The Android smart platform gives you the ability to download 1000s of apps from the Google Play store. Eliminate the need for streaming boxes and download popular apps such as BBC iPlayer, Amazon Prime, Netflix, NowTV, Kodi and IMDb. Quote by - Tech Nuovo. "This is a smart TV, running Android 7 OS, so you can gain access to all your favourite apps, and more, via the Play Store. App's include Netflix, Prime, YouTube, BBC and so on"
Unique 'Cello Play' functionality lets you move backwards and forwards through the EPG to easily catch up and record future programmes. 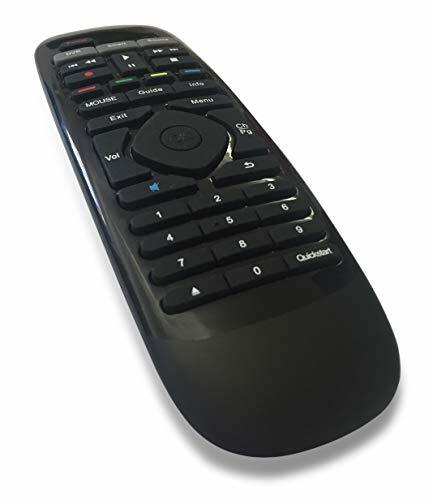 Air mouse remote control with a 9-axis gyroscope makes it easy to navigate the smart user interface. Watch terrestrial digital HD channels with DVB-T2. Two USB inputs means you can connect external hard drives and record/pause live TV plus play saved media files. Also, suitable for adding a keyboard. A total of four HDMI inputs allows you to connect multiple devices such as your Sky box or games consoles. SAMSUNG QE85Q900R Review: The next level of home cinema?